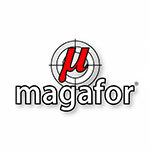 Hard Metal has represented Magafor in Ireland for more than 30 years. Under the leadership of Robert Matthey, who founded the company in 1937, Magafor quickly became the world specialist in Centre Drills. Today this small, focused family company produces a range of precision tooling including Centre Drills, Countersinks, Reamers and Endmills (including miniature carbide endmills from 0.05mm). An innovative approach to the market with multi-function tools such as Combi-Mag, Multi-V and Bi-Face give Magafor a competitive edge in modern machining. Company profile From the beginning, Robert Matthey created a company focused on specialty tooling, an innovative concept that has remained in Magafor’s DNA to this day. Its dedication to creating and enhancing a range of high precision tooling has made the company the world leader in their product offering – there is no manufacturer in the world that offers 30 different choices of 0.4mm Endmill from stock! This is also true for the extensive reamer range (diameters 0.20 to 0.595 tolerance ± 0.001 with 0.005 increments, then from 0.60 to 20.05 with 0.01 increments). We draw from Magafor’s extensive stock on an almost daily basis, to satisfy the demand for unusual sizes and immediate requirements of machine shops throughout the country.